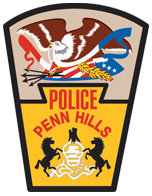 I would like to take this opportunity to introduce myself and to welcome you to the Penn Hills Police Department website. My name is Howard Burton, and I am the Chief of Police for the Municipality of Penn Hills. I began my career with the police department in 1969, and it has been a distinct honor to serve the Municipality for over four decades. I started out as a patrol officer and worked my way up through the ranks to my current position as Chief of Police. Penn Hills is a diverse bedroom community that is home to approximately 45,000 residents. Our police department’s focus is to protect and serve our residents and visitors by promoting a feeling of safety and security by being highly visible and enforcing the law to the best of our ability. The Penn Hills Police Department is one of the largest municipal police departments in Allegheny County with a variety of specialized police services that expand beyond the basic patrol function. These added services include General, Juvenile, and Narcotics Investigators as well as a Traffic Division and a four team K-9 unit. These specialized experts allow us to better serve the public and to address the needs of the community as a whole. One of o ur newest services is creating this police department website, pennhillspolice.com, which is an example of our dedication to moving forward in the ever-growing field of technology. In today’s world, the internet has become one of the largest sources of information sharing and gathering for a majority of people. The goal of our site is to offer you an opportunity to learn more about our agency, the specialized services we offer, and to answer some of your most common questions, in a format that is convenient and user friendly. I want to thank you for visiting our website and I hope that you find the information here informative, useful and helpful. It is through your support and cooperation, by providing tips and staying vigilant, that allow us to better serve you. Your help and support are greatly appreciated and play a major role in keeping our community safe.